Institute of Environmental and Sustainable Chemistry. Group of Sustainable Chemistry and Energy Research. Technical University of Braunschweig. Germany. 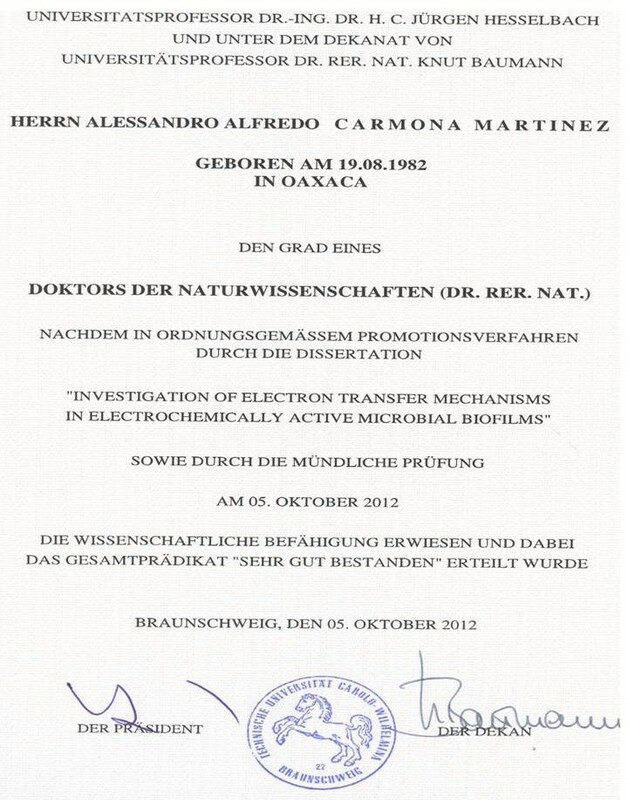 Ph.D. Thesis downloadable from here. Department of Biotechnology and Bioengineering. Centre for Research and Advanced Studies. National Polytechnic Institute. Mexico. M.Sc. Thesis downloadable from here. 2001-2005: Bachelor of Science in Environmental Engineering. Interdisciplinary Professional Unit of Biotechnology. National Polytechnic Institute. Mexico. 1997-2000: High school education. Graduated in Mathematics and Sciences.